Abstract: In the religious life of Church appeared so many heresies, one more important than another. Everyone had a new religious system, with which he tried to change the faith of the people, of the Church. In our example Arianism was almost as mush a philosophy as a religion. It assumed the usual postulates, worked by the usual philosophical methods, and scarcely referred to Scripture except in quest of isolated texts to confirm conclusions reached without its help. Marcion or Montanus were easily recognized; the case of Arius or of Eusthatius was more difficult. The case of Pelagius was more difficult still. But in every important moment of history of Church there appeared one or more men who established the Orthodox doctrine. 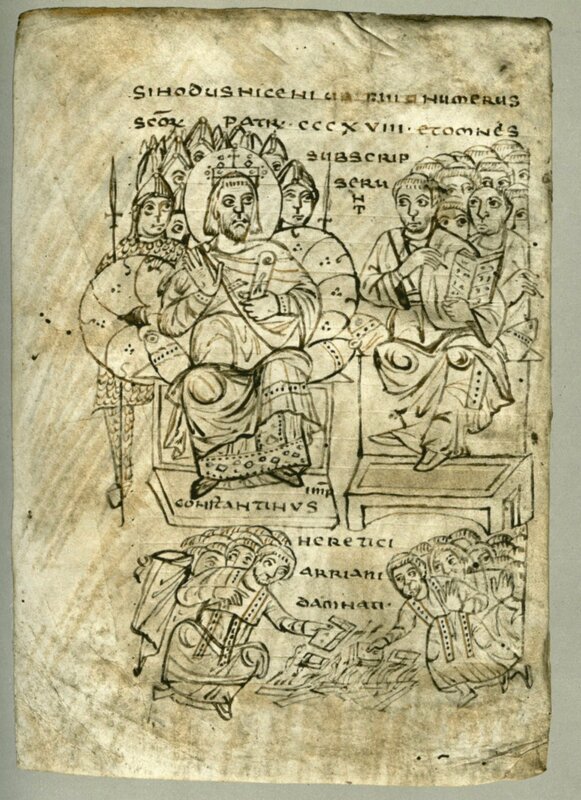 On this paper I will focus on the Arian heresy, trying to show how this heresy spread out on the Roman Empire and how it kept his strength for many century on the spiritual formation of some people. Introduction: What is a heresy? “The Greek word hairesis (literally choice or thing chosen) was applied to the doctrines of philosophical schools. But already in I Cor. 11.19 and Gal. 5.20 Paul uses the term in a negative sense to mean a divisive faction. In the work of Ignatius of Antioch (35-107), that is, even before the days of the conciliar definitions of Christian faith, it denotes theological error. Tertullian (160-225) identifies the root of heresy as the willful choice of philosophical opinion over revealed Christian truth”. The ecclesial meaning of the term signified the sin of a person who, having been baptized and calling him or herself a Christian, denied a defined doctrine of faith even after having been formally instructed. These notions have two aspects: formal and material/concrete. In the first aspect, heresy is the persistent adherence to erroneous teaching. The second aspect, material, heresy means adherence to error, and acting upon this error, without such culpability. The definition of heresy is dependent, therefore, on acknowledged doctrine of the Church. Heresy is the dislocation of some complete and self-supporting doctrine by the introduction of a denial of some essential part therein. Eusebius of Caesarea considered Simon Magician to be the father of all heresies. “A heresy is usually a genuine hunger eating the wrong fruit”. Arianism was the first of the great heresies. Arianism was the debate within the Church in the fourth century over the divinity of Jesus Christ. It was great because this heresy, from its beginning, changed the minds of people and urged them to understand divinity in rational way. Since it is very difficult to rationalize the union of the Infinite with the finite, there is an apparent contradiction between the two terms – the final form into which the confusion of heresies settled down was a declaration by the Arians that our Lord was of as much of the Divine Essence as it was possible for a creature to be, but He was none the less a creature.